Feel the need for speed at Enzo! When you hear the word Enzo you might come and think of the famous Sicilian freediver. Or you might come and think of the car model by Ferrari. Well, the latter might fit better into the description of Enzo Casino – a gambling site made for action and speed. In this review, CasinoViking.com will go in-depth and see what it is all about. Join in. The dark background and the highlighted text, graphical elements in orange give you a very speedy feel. And since this is a very fast-paced casino site, what other layout and colors would do it more justice? There is a big slider/banner found in the top section of the start page with current offers, new games and more. The focus is, like many similar casino sites, on the games, and in this case the slots. And the game selection might feel a little bit odd at first glance. Or at least a little bit unique. 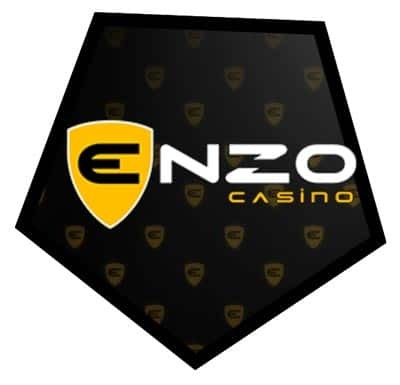 So no matter if you are looking for some of the more classic and popular games or more odd niche studio games, Enzo Casino most likely got you covered. Most games are available in “Try me” or “demo” mode as well. On top, most of them works really well with mobile so this is considered a great mobile casino. The many odd games are really one of the biggest perks with EnzoCasino. Here you will be able to explore some of the casino industry games not often available at other casinos. Developers like BestSlots, Mr Slotty and Fugaso have slots, table and live games here. These are easily filtered by category, developer or by lists such as new, jackpots and slots. Be sure to take a look at the bonus promotions page at Enzo to see if there are any offers you can enjoy depending on your location and more. As always, just be sure to read the terms and conditions before you play. That is all from us at this point. Click the button below if you want to take a glimpse at the action-filled and packed Enzo.